Skin and chop the tomatoes, peel and finely chop the onions and the apples. Put all the ingredients into the preserving pan except for the sugar, sultanas and the seasoning, simmer gently until tender. Add the sugar and stir over a low heat until dissolved then put in the sultanas and seasoning. Simmer steadily, stirring regularly until it is the consistency of a thick jam. Spoon into hot sterilized jars, add a waxed circle and tighten the lid securely. I made 2.5 times the above quantities in a large stainless steel pan 17cm high x 25cm diameter, this is the maximum volume that can be made in this size of pan. Once the sultanas have been added you need to stir the mixture regularly as they sink to the bottom and can burn. If the chutney is slow to reduce down to a jam consistency, spoon off some of the watery mixture from the top of the pan and sieve out the vinegar liquid returning any pulp to the pan. Homemade chutneys, jams and preserves make a lovely personal gift, why not plan ahead and give friends/family a home produce hamper later on in the year at Christmas. Homemade chutneys, jams and preserves make a lovely personal gift, why not plan ahead and give friends/family a home produce hamper this Christmas. Are Your Runner Beans Stringy? 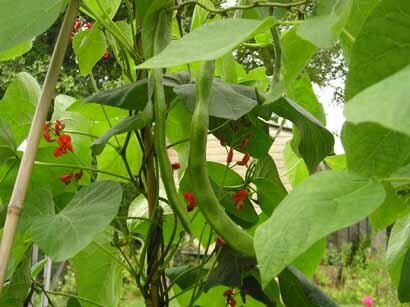 Don’t Despair – Turn them into Runner Bean Soup! At this time in the harvesting calendar runner beans can be past their best and it is certainly the case on our allotment at the moment. But having taken the time to grow them and then pick them, I was determined to find a recipe that would turn stringy runner beans into something delicious. Enjoy an Autumn Delight – Poached Pears in Chocolate Sauce! Autumn is here and along with misty, cobwebbed mornings and crunchy leaves underfoot there are the delights of the orchard fruit season to enjoy. 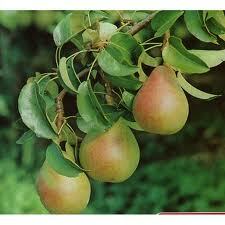 …and there is no better time to savour delicious English pears. So with that in mind why not try our deliciously indulgent poached pears. Pour chocolate sauce over each pear and serve with cream – yummy! We’re huge fans of freshly made soups at Gardening Works. Like a lot of traditional cooking, soup making is so easy, but is often forgotten in these days of convenience. …But as soon as you’ve tried your own you won’t ever want to open another tin. With a glut of tomatoes just around the corner, this recipe produces a lovely creamy soup, full of flavour…….. But don’t forget the bay leaf as it really adds a little something to the mix. This is a great heart warming recipe, and is one easy way to eat one of your 5 a day. 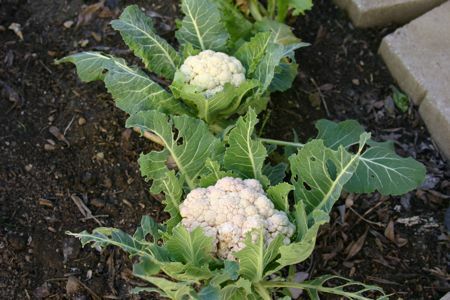 Plus cauliflowers are at their seasonal best round about now. Raised beds are the perfect way to grow vegetables, and The Recycleworks Ltd specialises in the manufacture of a large selection. The soil in raised beds is easier to maintain and is generally lighter, better drained and warmer. 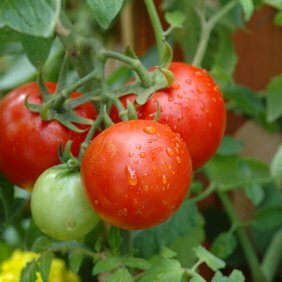 Gardening in a raised bed can also reduce pest damage and all in all crops often do better. It’s also easier for the gardener with no more heavy digging. The Raised Beds from www.recycleworks.co.uk are made from FSC wood and with no screws, no nails and no holes to dig, they can be assembled in minutes.